Now that the Half-Life 3 floodgates are open, more evidence of its existence is spilling in, and the latest news might be the most significant yet. After Valve's Jira database apparently became available to the prying eyes of the public, some users gained access to project management data revealing who at Valve is working on what. Sure enough, Half-Life 3 was spotted in there, as was Left 4 Dead 3 and Valve's next engine, Source 2. There were 46 staff assigned and to the "Half-Life 3" while another group titled "Half-Life 3 Core" comprised of 10 names. A number of familiar names are on Half-Life 3 list, including Portal and Left 4 Dead co-writer Erik Wolpaw, composer Kelly Bailey and level designer John Guthrie. There's a lot of speculation that we'll see Half-Life 3 released alongside the Steam Machines in 2014, given that tying the two together makes a lot of business sense - especially if the game is offered early to adopters of Valve's living room box. 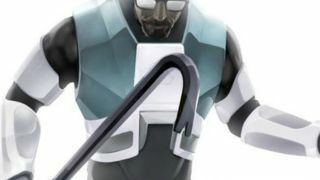 Valve recently trademarked the Half-Life 3 name although this wasn't necessarily evidence that work on the game was taking place. If this database reveals the truth, then we now know that Half-Life 3 definitely exists in this dimension. SteamOS is also on its way. Here's everything you need to know.